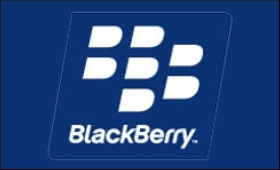 BlackBerry on Thursday unveiled its Enterprise of Things (EoT) platform "BlackBerry Spark", which is designed and built to establish end-to-end, ultra-secure hyperconnectivity. "BlackBerry Spark" would enable original equipment manufacturers (OEMs) to make complex machineries, help enterprises to leverage artificial intelligence (AI) and manage smart "things" and allow people to use and trust any hyperconnected "thing" by making military-grade security easy and intuitive to use. "By combining hyperconnectivity with ultra-security and privacy, 'BlackBerry Spark' is the indispensable component of a paradigm shift to ‘things-first' which holds even greater potential to reshape society," John Chen, Executive Chairman and CEO, BlackBerry, said in a statement. "The ultimate outcome of this inevitable convergence of ubiquitous mobility and computing power will likely turn on the cybersecurity decisions we make collectively over the next few years," Chen added. "BlackBerry Spark" would also enable organisations to comply with stringent multi-national regulatory requirements and would be compatible with both iOS and Android.